Each time I’m in the Hamptons, Nantucket, Santa Monica, or any other laid back beach town inhabited by beautiful, sun-kissed people, I notice that girls on leisurely bike rides through town are always dressed in super cute outfits. 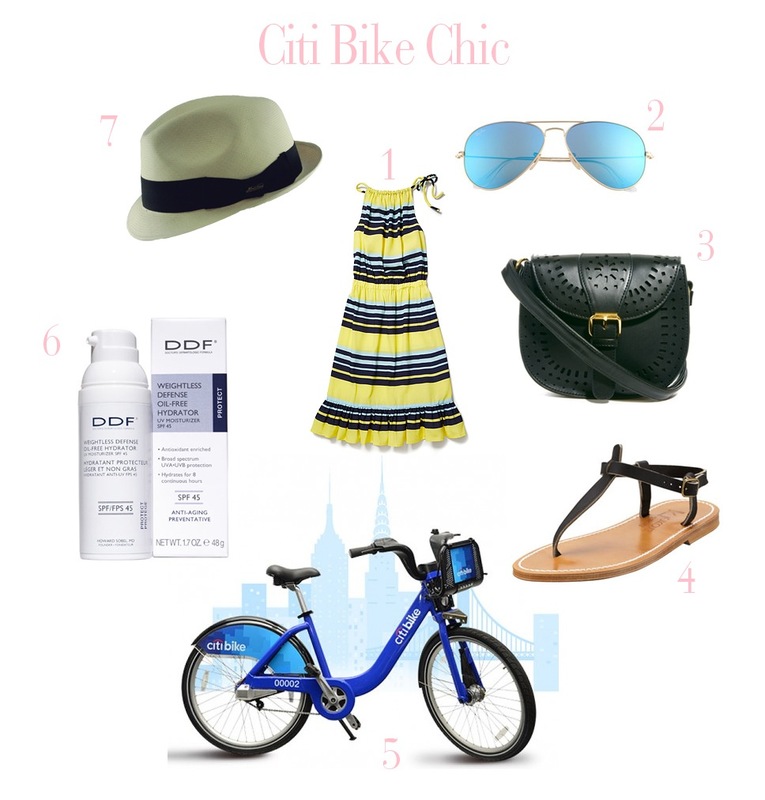 With the recent inception of Citi Bikes, a New York City-wide bike share, I have witnessed these biker fashions cross over from breezy seaside styles to city appropriate looks that are perfectly suitable for riding up the West Side Highway to brunch at Cookshop or gallery-hopping in Chelsea. In honor of girly cyclists everywhere, I give you a feminine, bike-friendly city look complete with some of my favorite weekend fashions (and sunscreen! ).